We have investigated various types of print in our series on identification, from the woodcut and engraving to the monotype and lithograph. Now, it's time to check out the screen print, also known as a silkscreen or serigraph, a form of stencilling - and one of the most versatile of all the printing processes. Screen printing first made its appearance in China during the Song Dynasty (906 – 1279 AD). It slowly made its way to Western Europe in the late 18th century but didn’t gain popularity until silk mesh became more readily available. By the 1930s, a number of American artists began producing artwork using screen printing methods. By the end of the decade, ‘serigraph’ was used to distinguish an artists’ screen print from commercial examples. It was during the psychedelic 60s that screen printing really gained traction when it caught the attention of Pop artists such as Andy Warhol - attracted by the bold areas of unmodulated colour, its flat surfaces, and generally commercial look. 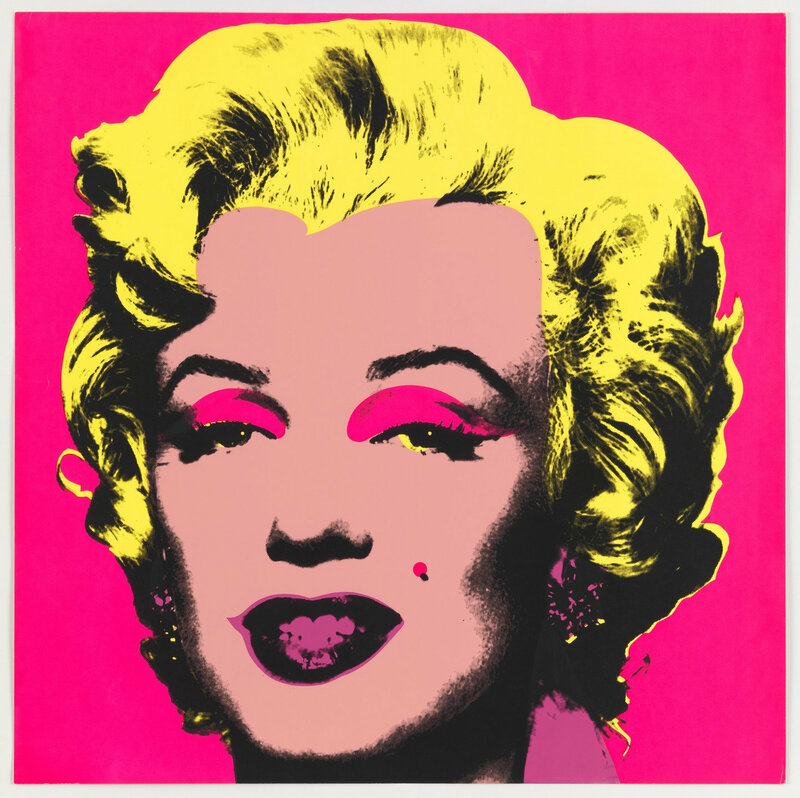 Andy Warhol is credited with popularising screen printing, with other arty greats including Robert Rauschenberg and Roy Lichtenstein following suit. Sister Mary Corita Kent, worked almost exclusively with silkscreen, and helped establish it as a fine art medium. Her iconic screen prints featured messages of love and peace, spreading faith and hope, during the social upheavals of the 1960s and 1970s. The first step is when an artist cuts an image into a sheet of paper or film to create a stencil. Only the cutaway areas will print. The stencil is then attached to a screen made of fine mesh that is stretched on a frame. Paper is placed underneath the frame and ink is placed across the top of the screen. Then, with the superpower of a squeegee, the ink is squeezed through the stencil onto the paper. Separate screens are used for each colour (if more than one is required), to achieve the final look. This technique is not limited to paper. T-shirts, vinyl, wood, posters, stickers, and books ... almost anything goes as far as screen printing material is concerned. To identify whether you have a silkscreen on your hands, look closely with a magnifying glass or loupe at where the colours meet at the edges. You should be able to see miniscule overlapping of colours in certain areas. ‘Registration’ is the alignment of one colour of artwork with another. Multi colour prints require the different colours of the artwork to line up correctly in relation to one another. If something is off-registration, you will see the overlap and know you have a serigraph on your hands. Registering perfectly takes a master craftsperson. Large areas of flat colour, meaning, there are no dot/matrix patterns on the surface, are another characteristic to look out for. These colours are slightly raised or ‘sit’ on the paper and should be smooth and continuous. As screen prints do not involve the forceful pressure of a printing plate upon paper through a press, you will not see the characteristic indent of a printing plate on a screen print. If you’re not sure whether you’re looking at a serigraph or a lithograph, feel the paper. Lithographic paper usually has a heavier grain whereas serigraph paper typically has a smoother texture. The medium was made super famous by Andy Warhol. The process consists of three elements: the screen that is the image carrier, the squeegee, and ink. The technique is not limited to paper. Separate screens are used for each colour. Look for registration or off-registration. You will not see an indent from a printing plate. Screen print paper typically has a smoother texture than lithographic paper.